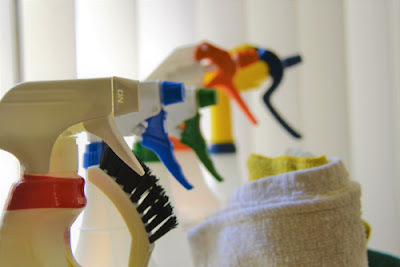 There’s no doubt that everybody loves a clean home and overall, a healthy environment. However, times have changed because both women and men have become invested in pursuing their careers and this means that they have very little time available to do home cleaning. We all need clean clothes, utensils, rugs, carpets, bathrooms etc. but job and other commitments mean that all these can only be done with the help of a maid. Unlike full –time maids, part-time maids are only available for a limited time and they don’t live in your house. Their working hours are scheduled and they are at your service only when it’s required. Their work schedule is usually based on your time preferences and they are usually paid on hour basis. 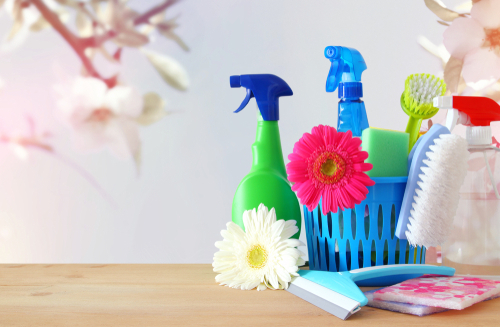 Employing the services of a part-time maid means that you are not buying their services, but also your peace of mind. If you looking forward to enlist the services of a maid, outlined below are some of the pros and cons of part time maid. One major thing that can’t go unnoticed is the flexibility that is associated with part-time maids. Hiring a part-time maid means that you are going to use their services based on your needs and comfort. For example, you can hire a maid who only works on in the morning hours, weekdays, weekends, during family events etc. Additionally, you can easily adjust their services to a time that you prefer or when you’re available. Part –time cleaners are highly–trained, skilled and experienced in the field of their work. Most cleaning agencies usually go to great lengths in training their staff hence you can be assured that the maid you’re hiring will demonstrate high-quality skills while carrying out cleaning tasks in your home. Furthermore, the maids are committed to their work as they work for shorter hours hence they are less stressful. They perfectly understand that they work in a highly competitive field hence they must deliver impeccable services which will satisfy the client by making sure that their services meet or exceed their customer’s demands. Note that these maids are usually hired and paid on an hourly basis hence they are more affordable than full –time cleaners. Unlike full –time maids who live in with you and do various chores throughout the day, part-time maids work under a limited time frame hence their compensation is less than that of their counterparts. If you are in a low-paying employment, you only need to look after their services when you can afford. Although the absence of a part-time maid may not have a huge impact in your family’s relationship, there are times when your home needs privacy such that even the simple presence of your helper maybe be a hindrance. The presence of a part-time maid means that you get time to spend private quality time with your family and friends because once they complete their tasks, they are obligated to leave your house. There have been increasing cases of domestic helpers abusing children as well as bringing strangers to their employer’s house without their acknowledgment. Part-time maids eliminate anxiety and give you peace of mind since you can enlist for their services only when you are at home. Part-time maids usually work for a specified period of time hence they may not be familiar with the cleaning routine of your house and this makes their service deliverance unreliable. It is sometimes very difficult to effectively work with them as you can’t hold them accountable for other tasks in your house. As a result of this, it may be necessary to consider employing a full –time maid because they are responsible for all the tasks in your house. If you are hiring a maid from an agency, inconstancies may arise. This is because you will most likely end up receiving different maids on each request and problems may arise if you like the services of a particular maid because there is no guarantee that the maid you like will always be the one who will come to your house when you need home cleaning services. Since different homes have different rules, it’s also very tiring to repetitively explain the same rules to different people regularly. 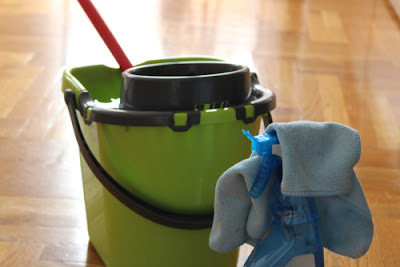 Unlike full-time cleaners who are usually available day in day out, part-time cleaners are only available on schedule hence they might not be readily available when you want prompt or emergency services. Although they are paid per hour, the overall sum of paying a part-time maid can be expensive. Their services are also high in demand hence for you to get a cleaner who will deliver timely and high-quality work, you have to part with a lot of money. Also, the more experienced the maid is, the more money you have to part with. As mentioned above, it’s not a guarantee that you will get the same maid every time you require home cleaning services. Hiring different maids regularly leads to trust issues because sometimes you have to leave them alone in your house while they do their work. You might want to leave them with your house key while you rush to do some errands and this means that they will have access to some of your valuable items which means that there is a high potential of some of your stuff getting lost or stolen. Like most things in life, part-time maids have pros and cons and if you want to hire one, you have to weigh the cons and pros against each other in order to determine the option that will effectively work for you. As much as money is a factor, if you don’t have children, a disabled person, elderly parents or relatives etc. but you still need services of a maid, then a part-time maid may be the best option for you.